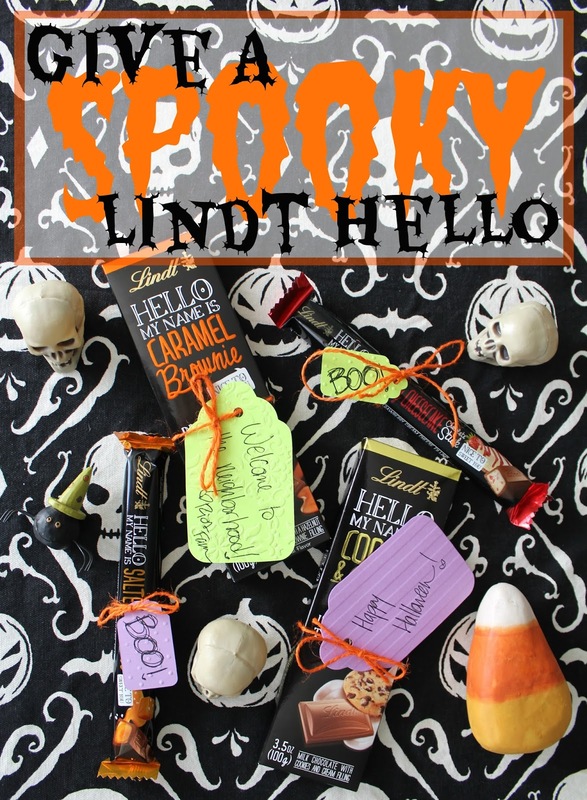 Halloween is one of my absolute favorite holidays, and I love to share the spooooky spirit with delicious Lindt HELLO chocolate and a quick note! Ryan and I enjoy getting to know other young married couples in the area, and reaching out with a simple hello has already led to pretty awesome friendships. 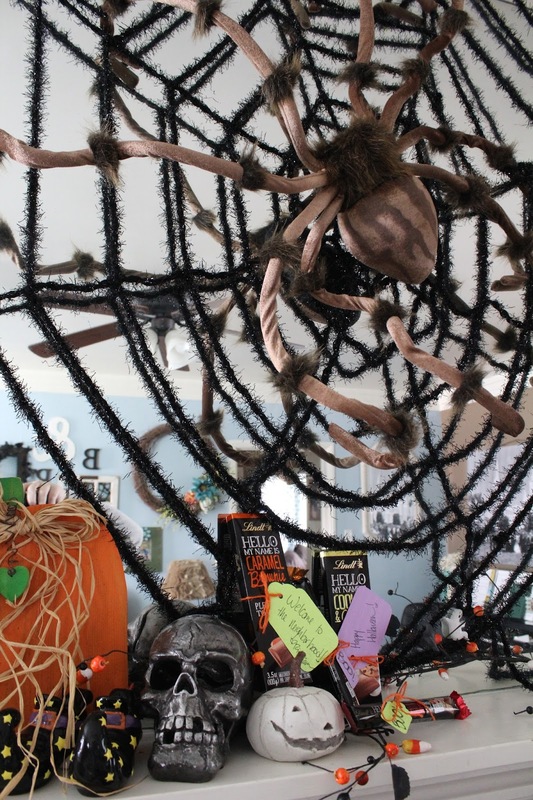 Meaning we host some rockin' parties at our home with all the fun friends we've accumulated with an easy hello! The cheeky sayings on Lindt HELLO's chocolates are too adorable! Plus the array of flavors made me feel like a kid in a candy store ;) I picked up Caramel Brownie, Strawberry Cheesecake, Salted Caramel, and Cookies & Cream. Yummmm! I'll definitely make some pretty good first impressions with these fun and delicious chocolates. Lindt HELLO is all about you creating connections with others, which is why they are hosting a sweepstakes with activities to enjoy with the special ones in your life! Good luck! To enter the sweepstakes, visit the Lindt HELLO Sweet Connections Sweepstakes page and enter your email address. Entries can be made daily for additional chances to win the below prizes. 5 Weeks of Prizes – Connect with Someone You Love, or Someone New! • Dinner & a movie with the +1 of your choice!